I’m sure most of you have heard of TED Talks. If you haven’t, you’ve been missing out on some good educational stuff. TED (which stands for Technology, Entertainment, and Design) Talks have been spreading ideas and expanding minds on topics like global, social or economic problems since 1984. I have been watching TED talks for the last 3-4 years and it has inspired me to not only think differently but to also know that being different is what makes us all interesting people. It was through listening to Ted speakers that I had finally started my minimalism journey, started blogging as a way to share my ideas and realize that homeschooling is for us as a family. 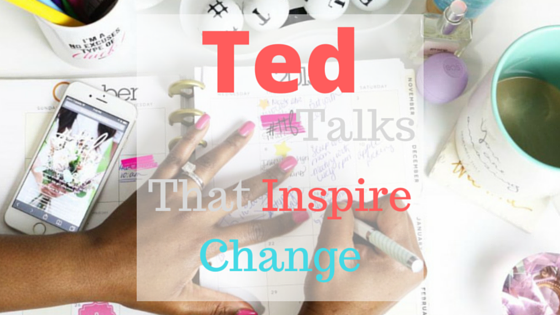 So here are 6 of my favorite TED talks that have inspired a change in my creativity, how I see the world and how I use the internet. Chris Sauve is a fourth year business student studying accounting and minoring in computer science. He has represented Carleton at case competitions. He is always looking to expedite how we do things, and make things better. Share and comment below for your favorite TEDx talks.